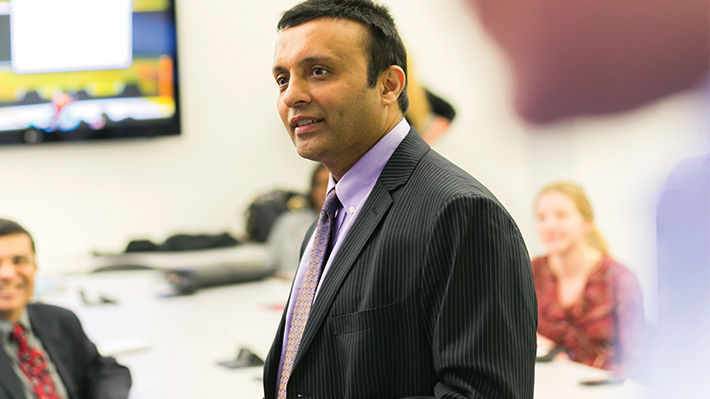 Shah is an associate clinical professor of management at LeBow. Some of the courses he teaches feature “global classrooms,” where LeBow students complete a quarter-long project in partnership with students from another country. For example, he has conducted outsourcing and ‘reverse outsourcing’ classes with students in India. The David A. Portlock Outstanding International Educator Award recognizes outstanding leadership and achievements in international education in the Commonwealth of Pennsylvania by the Pennsylvania Council for International Education. It is presented to international educators in mid-career who have exhibited evidence of on-going mentoring of colleagues in the field, exemplary leadership in international education on their campuses, and consistent contribution to the field as seen in presentations, papers, publications, or other academic enterprises.